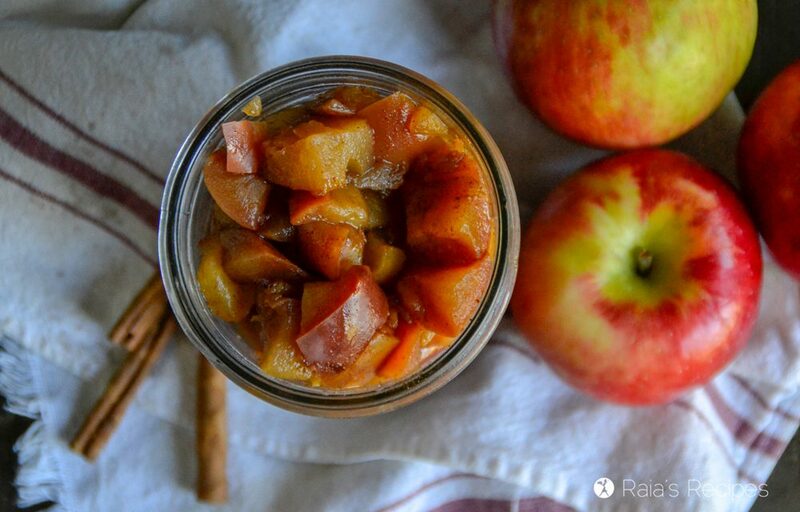 This Instant Pot Paleo Apple Pie Filling is full of dreamy, delicious fall flavors. Don’t have a pie crust handy? Just get a spoon and dig in! It’s fall y’all. At least it should be. I mean, it is halfway through October, after all. But down here in the perpetually sunny south, it’s still in the mid-80’s. And humid. But it’s still fall. And regardless of how hot it is, it’s still a little bit cooler than summer. And since fall is my favorite time of year, I’ll take what I can get! One of the reasons that fall is my favorite time of year is that suddenly it’s appropriate to eat pie. Now, I’m all for eating pie year-round, but at least I feel socially acceptable doing it in the fall. 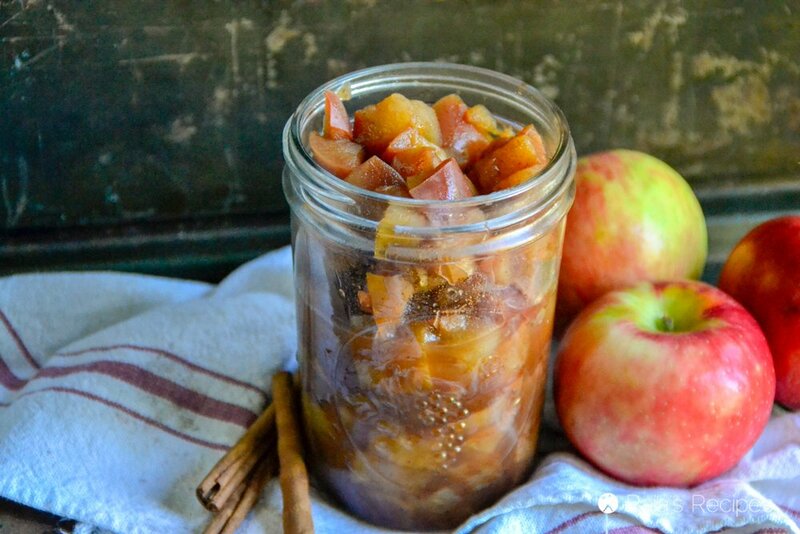 Instant Pot apple pie filling. 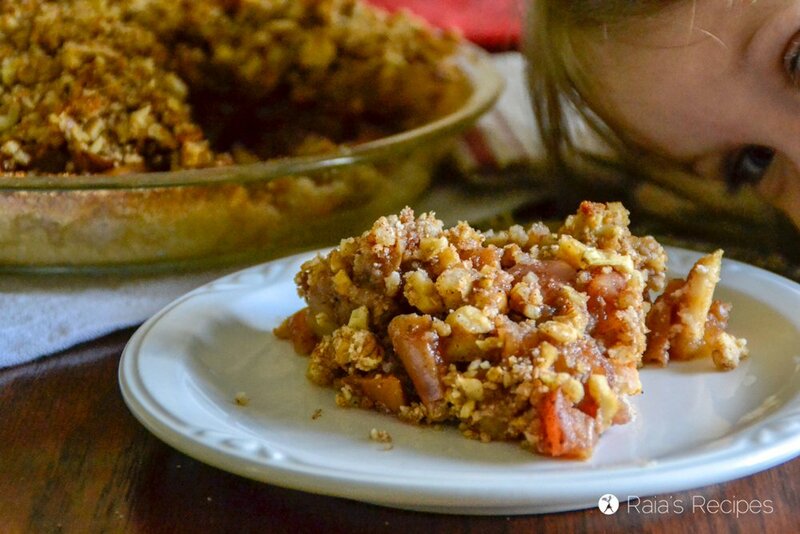 I first came up with this pie filling while working on my GAPS/paleo French Apple Pie recipe. That will be coming soon, I promise. But it still needs a little work in the crust area. Thankfully, the filling area is perfect! 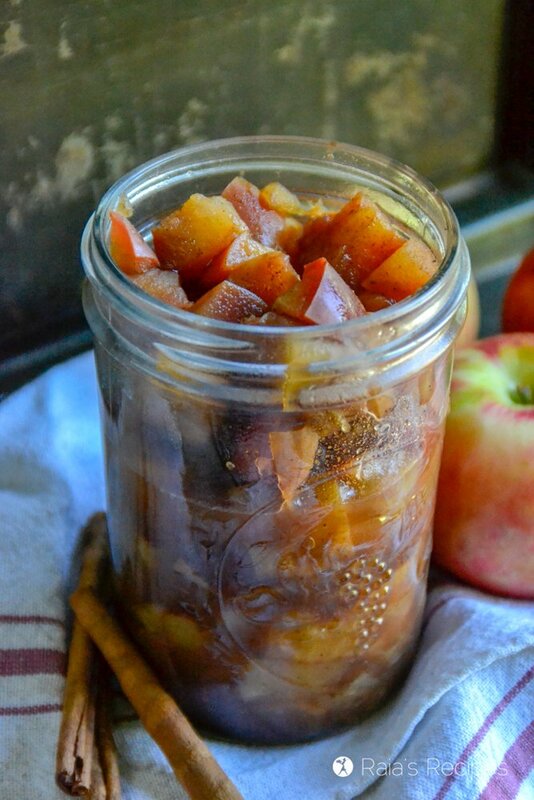 This instant pot apple pie filling is sooooo good you don’t even need a pie crust to enjoy it. Seriously. I’ve eaten it for breakfast. And for a nap-time snack (so I don’t have to share with my kids). My hubby asks for it for no particular reason. 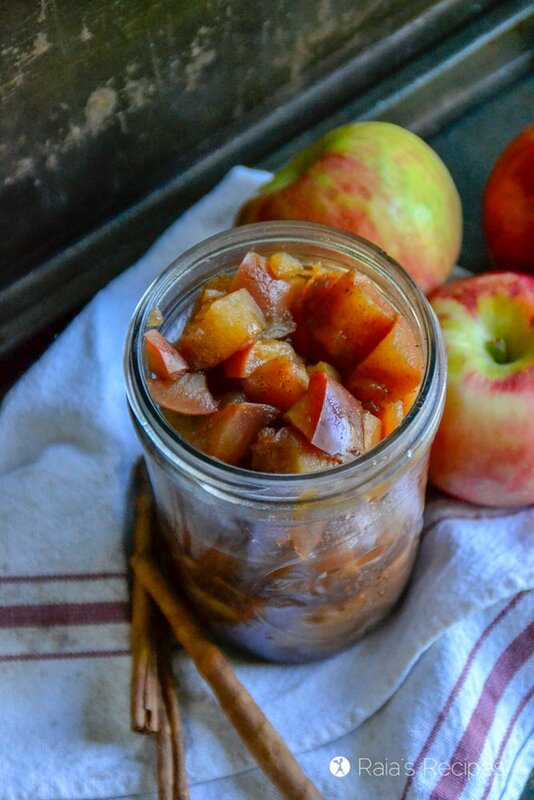 Since I can’t eat any starches (other than what’s in veggies), or refined sugars or dairy, this Instant Pot apple pie filling is pretty safe for all allergy sufferers. Unless you can’t eat fruit, I guess. Sorry. The juice at the bottom is pretty juicy, so I strain it out for pies, just to make sure it doesn’t make the crust too soggy. If you can have tapioca, you can stir in a little of that to thicken it up. Wash apple and chop into 1/2 to 1-inch cubes. You can peel the apples if you like, but I like the skins on! Place the chopped apples in the Instant Pot liner along with the water. I use the Instant Pot Duo 6 quart 7-in-1. Place spices, honey, salt, and vanilla on top of the apples and give it a stir to combine. Set the Instant Pot on manual and press the ‘-/+’ button to 2 minutes. When the IP is done, do the quick release. Makes enough filling for two 9-inch pies. Oh yum! 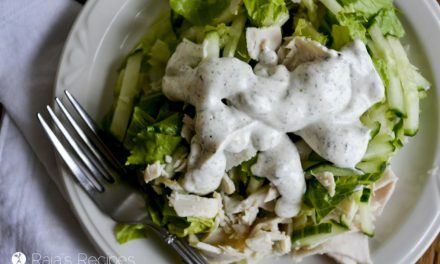 I would love to eat this by the spoonful right now. It cooks so perfectly in the IP! What a great idea! 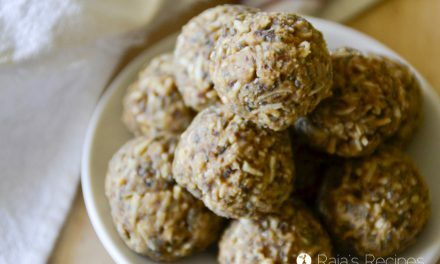 I can’t wait to make this – so easy and the girls will love it! Thanks, Renee! It is super easy. It might be our breakfasts this fall… haha. Delicious!! 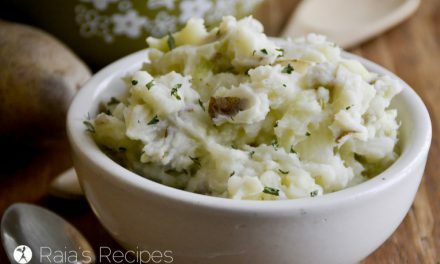 My kids would devour this straight from the jars! Love that it’s an IP recipe!! My favorite part of an apple pie…the filling! You could eat this for breakfast couldn’t you? Love it! I definitely eat it for breakfast. 😉 Haha! 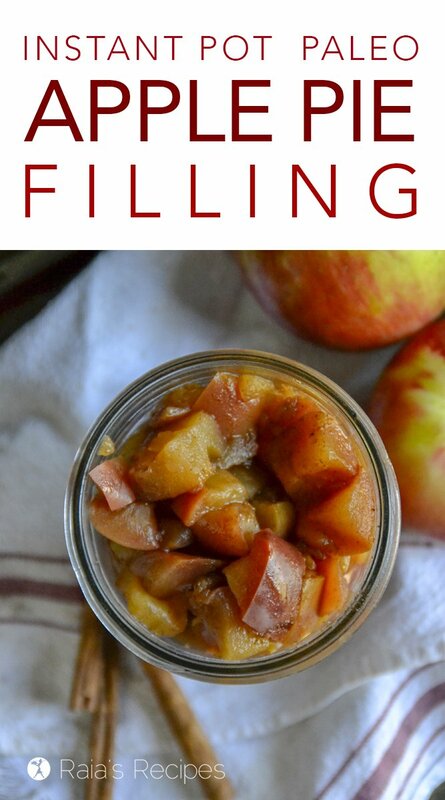 I have never tried pre cooking an apple pie filling…I like the idea! Especially since it uses the ip and keeps it more hands off! Who needs a pie? This looks amazing on its own! i just need a scoop of dairy-free vanilla ice cream to go on it. Yes to this! I don’t think it would make it to the actual pie part. I may eat it all hah!! Looks delicious! I LOVE apple pies! I also love how moist and fragrant this pie filling is. So perfect! This looks so cozy, and I have to say the 2 minutes cook time sounds pretty good too! 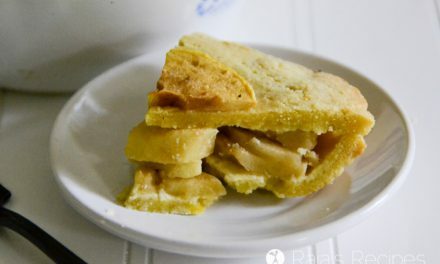 My husband loves apple pie, and I know he’s going to love this apple filling! Thanks, Kari! My hubby is a huge fan as well. He asks me to make this for breakfast so he can have a quick fix. Haha! What a fabulous idea! Love that it’s Paleo too. We need those healthier choices. Yes, we do. 😉 Thanks, Linda! I love using the IP! Such a versatile recipe. Would be perfect in your apple crumble! My son loves apple pie and I never thought of making it in the instant pot. Great idea plus it looks delicious.